TORONTO, Jan. 17, 2019 /CNW/ - Khiron Life Sciences Corp. ("Khiron" or the "Company") (TSXV: KHRN), (OTCQB: KHRNF), (Frankfurt: A2JMZC), an integrated medical cannabis company with its core operations in Colombia, announced today that the Company will co-host Cannamexico World Summit 2019, a comprehensive cannabis symposium taking place April 25 - 26 at Centro Fox, Guanajuato, Mexico. This is the second annual Cannamexico event and is recognized as the first of its kind cannabis summit in Mexico. Companies in the fields of science, research, finance, medicine, government, technology, innovation, agro-industry and entrepreneurship, among others, will participate at the event in open discussions about medical cannabis. Khiron will be prominently featured throughout the summit and key members of the Company's senior management, medical and compliance team will deliver session presentations on medical cannabis patient, research and compliance topics, with particular focus in Latin America. Former Mexican President and Khiron Board Member, Mr. Vicente Fox stated, "The debate on the legalization of cannabis is an agenda priority in Mexico and this event has assumed the historic responsibility of being a place that converges ideas and developments on public policies that contribute to our country, raising the voice on important issues regarding cannabis legislation, cultivation and commercialization."  Andres Galofre, Vice-president of Business Development and Cannamexico board member commented "We are proud and honoured to have a partnership with Centro Fox and to have the opportunity to sponsor the Cannamexico World Summit 2019. As a member of the Cannamexico Board of Directors I will continue to advocate and raise awareness regarding the potential for the cannabis industry in Mexico." As previously announced, Khiron is strategically positioned to enter the Mexican market with the launch of its first nutraceutical product line and establishing a subsidiary in the country to submit license applications, completing an in-depth regulatory review of the country's legal medical cannabis landscape as well as an assessment of market needs. Mexico comprises a population of approximately 123.5 million people, with nearly 11.7 million potential patients for medical cannabis. International Summit focused on showing the potential of the Cannabis industry in Mexico, which seeks to provide information on legal regulations, market opportunities, medical advances, innovation, and wellness.